Sell Your House in Mesa Fast. We buy houses in Mesa, pay cash, and close quickly. We buy houses in Mesa fast. Any condition. No fees. Fill out this form to get a fast, fair, all-cash offer on your house in Mesa today. No hassles. No obligation. Fair Offer Guarantee. Need to sell your house in Mesa fast? We can help. If you have property or house in Mesa, AZ that you need to sell quickly, we can help. We buy houses in Mesa for cash, and work to close as quickly as possible. Whether you’re selling your home for a quick move, or to avoid bankruptcy, we’re sensitive to your situation and want to be as helpful as possible. So in this page, we’ll try and answer all of that for you. If you have any questions, you can watch the video below for more information – or contact us any time, and we’ll get back to you ASAP. In a nutshell, we can help you sell your house in Mesa as fast as possible, for a fair cash offer. 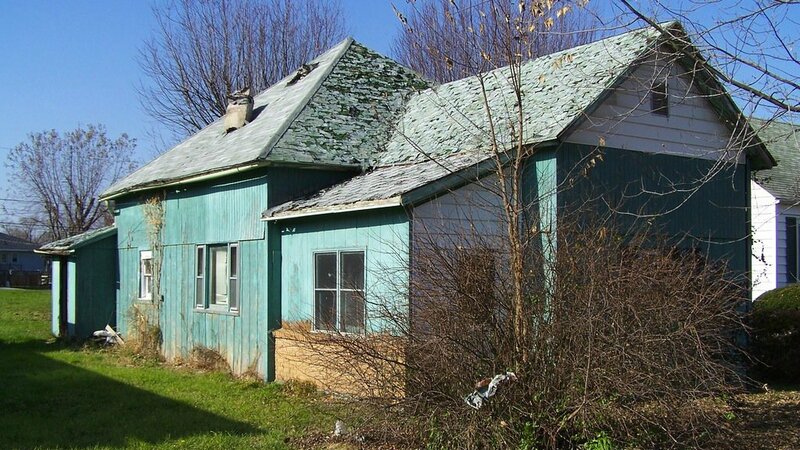 We buy houses in any condition, for a fair cash offer. To get started, just take a few seconds and fill out the form above, and we’ll get in touch with you as soon as possible with a cash offer. Once our offer is accepted, we’ll work to close as fast as possible. We can close as quickly as we do because we don’t have to wait on a bank regarding financing. Who we buy houses from. We buy houses in Mesa from customers in all different scenarios. You might be trying to sell your home fast to avoid foreclosure, looking for an easy, hassle-free move to another state for job purposes, or maybe you just don’t want to manage the home or property anymore. Whatever your reasoning is, fill out the form above, and we’ll contact you ASAP to evaluate your property, and if it’s a good fit, make an offer. We make cash offers on all kinds of houses and properties in Mesa, no matter the conditions. That means you won’t have to worry about inspections, or fixing anything. We’ll take a look at it, as-is. Plus, there’s absoutely no hidden fees or commissions you have to pay. In fact, you should be wary of anyone who does charge you fees up front. So if you’re looking to sell your home or land quickly, get in touch with us. We buy everything from houses, to vacant homes, rental properties, pieces of land, and certain commercial properties. Our number one goal is providing you a quality solution. We have one main goal – to provide you with a good and fair solution for selling your property as fast as possible. We know that you may be looking to sell for a variety of reasons, from bankruptcy, to needing to move fast, and more. We run our business with a high level of honesty and transparency, and would love to talk to you about your situation and see if there’s a way we can help. Or, read the testimonials of other Arizona based homeowners that have sold to us. Here is a quick summary of what each home selling service looks like, how it works, and ways to know if either is a good fit for your situation. Contact the real estate agent. They’ll schedule a site visit to determine what your house might sell for. Sign a listing agreement (normally 6 months). The agent will then list your house on the MLS, and handle all marketing, along with showing potential buyers your home. If your property sells, the agent takes care of the paperwork and negotiation with the buyer… and the agent collects their fee… which is usually 3% for them and 3% to the agent that brought the buyer (so up to 6% of the total purchase price of the house). Agents know the market well. They can get your house in front of a broad range of buyers. Agents show the property, and put together closing documents. It can be expensive – agent commission is paid out of the sale at closing. It can be a long process, 3-12 months. You pay the standard costs on the house until it sells (utilities, etc.). Sales or closing dates can move or fall through. Have time, and can wait 6-12 months for a sale. Can afford to pay agent fees (out of sale). Very low cost. No commissions or fees, and depending on the investor, they may 100% of all closing costs. It’s fast, you can close in as quick as one week. Most investors don’t require you to make repairs or clean anything. They buy “as-is”. You won’t earn as much on your house as if you went the traditional realtor route. People who want to sacrifice a bit on the sales price, in exchange for a fast, convenient sale. People who need to sell fast (weeks, not months). Sell Your House in Mesa This Week! If you have a residential property based in Mesa that you need to sell quickly, don’t wait, contact us using the form above. And if you have further questions, reach out and contact us any time. We Also Buy Commercial Properties in Mesa! If you’re interested in selling a commercial property in Mesa that you own you can email us directly through our contact page or call us at (480)535-1229.